Original photograph taken by James Ballantyne, July 15, 1892. 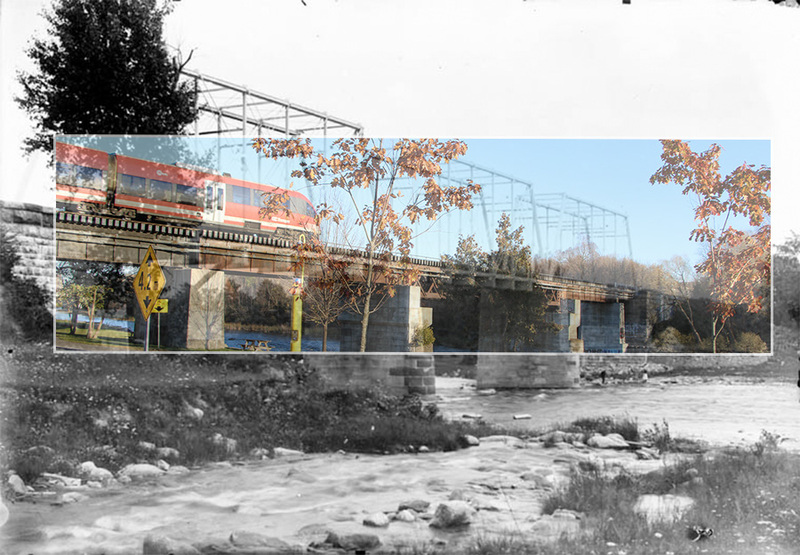 St. Lawrence & Ottawa Railway trains began crossing the Rideau River at this point in 1871. The bridge would later be maintained by the CPR and in 2005 was purchased by the City of Ottawa. 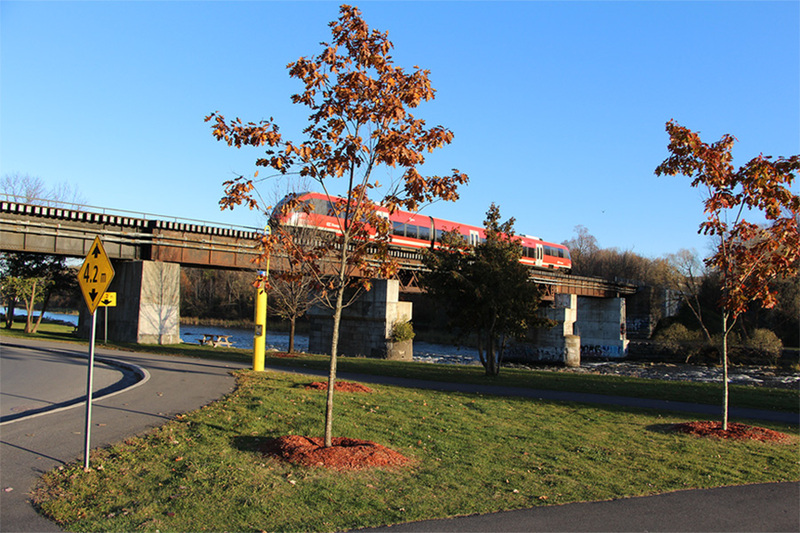 The bridge is now used exclusively by Capital Railways (City of Ottawa) O-Train as part of the regional transit service (OCTranspo). 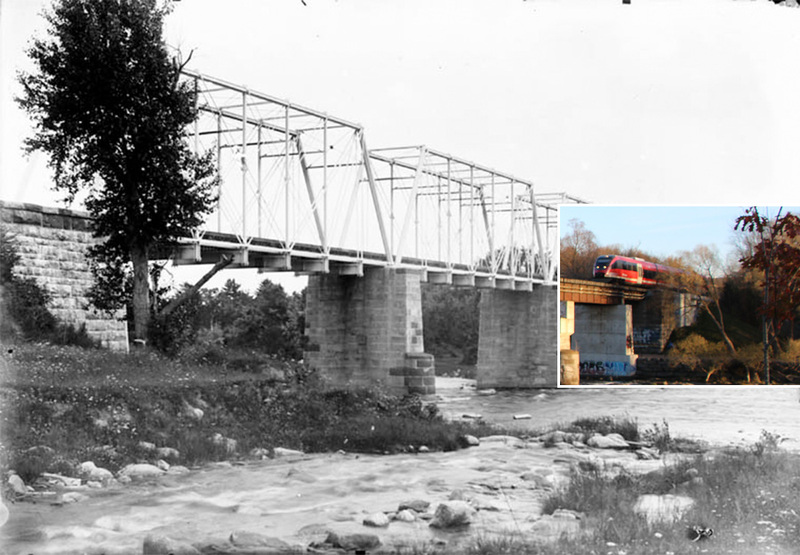 The CPR named this rail line its Ellwood sub. Today, the Ellwood sub is one of the very rare rail locations in North America that is measured in kilometres, not miles. The bridge is located at kilometre 3.88 of the Ellwood subdivision. 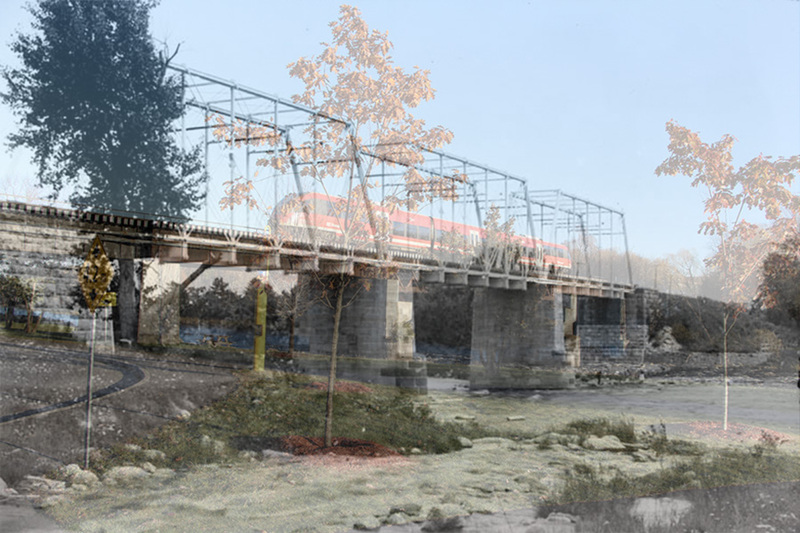 More than two hundred years ago basic surveys for what was to become Ottawa South had been carried out by John Stegmann. 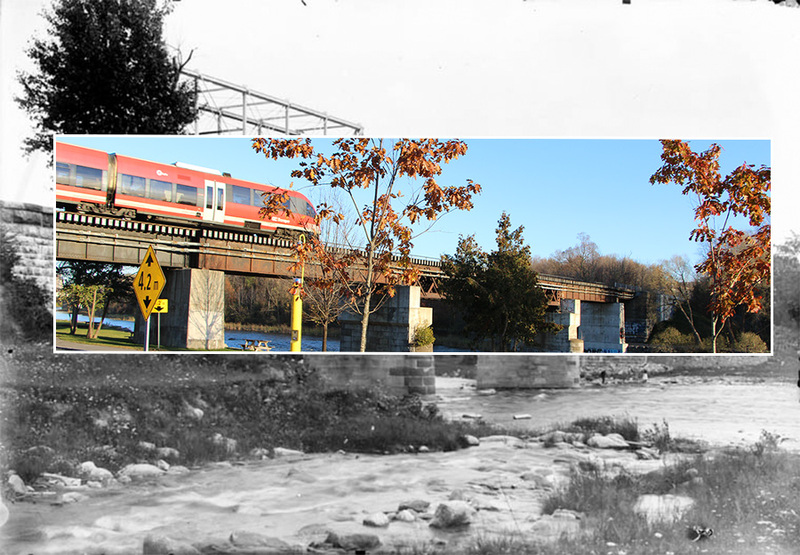 His name survives today, attached to the little waterfall on the Rideau River near the railway bridge at Carleton University.